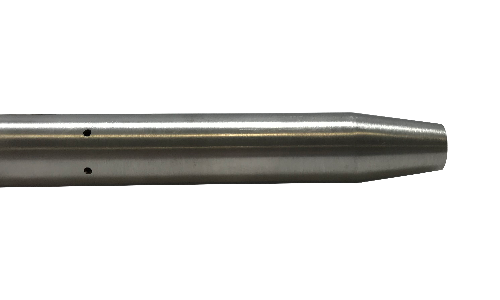 Aeroprobe Corporation is expanding its line of probes with the addition of a Heated & Drained Pitot-Static probe. This new addition is intended for applications where environmental factors like ice and rain are an issue. Commonly implemented in flight applications, Pitot-Static probes are used to measure total and static pressure to derive airspeed and altitude. In many applications, weather and other environmental factors can wreak havoc on data quality. Aeroprobe’s Heated & Drained Pitot-Static probe offers the ability to overcome those issues by integrating an anti-icing heater to melt accumulating ice and a drain for rainy conditions. The new probe can be integrated into existing systems and is also compatible with the company’s Micro Air Data Computer (µADC). Custom geometries are available and Aeroprobe’s engineering team will work with customers to determine the options that best fit their needs. Aeroprobe will debut the new product at the Association for Unmanned Vehicle Systems International (AUVSI) Xponential conference, which is being held in Denver, Colorado from April 30 – May 4, 2018. Attendees can stop by Booth #1227 to see a Heated & Drained Pitot-Static Probe, as well as a live demo of Aeroprobe’s Micro Air Data System (µADS).